I woke to a rare blessed day, the week long rains still soaking the sky and the earth. The moisture cloaks the mountaintops and fog hangs heavy in the canyons, mystical and comforting somehow, clinging close to the shoulders of the hills. Rainfall in New Mexico offers a rare and wonderful respite and it is easy to imagine I am somewhere else, the fog shrouded hills of California coming to mind. I can almost hear the ocean as it rolls against the beach and quickly recall the gallops down the beach back in my younger days. I can go there now, if only in memory, and it is almost enough. So it is with my dreams and wishes today when my mind and spirit are freed from the oppression of other influences. It is so easy to become a prisoner of my immediate circumstance and yet I am liberated just as quickly by the insight of the moment, my life is so much richer than that! It is with grace and thankfulness that I speak to God in such moments, thanking the forces of the universe, the wind, the rain and the sun for all the blessings of my life. I watch as the fog surrounds the treetops, hear the elk bugle close by and watch as the sun futilely struggles to break through the clouds. The light and the warmth of the glowing orb are pushed back by the dense moisture which hangs in the air and instead brings a halo of light to the horizon. Gods light it is and it instills a joy and hope I might have otherwise overlooked, in sight. I learned a lesson from my mother many years ago and I have carried it with me since, it is my buffer against the fear of my own possible failures. We are what we believe ourselves to be and if we focus on the obstacles they grow as large in our eyes as any accomplishments we might have incurred. I myself have done this and in the process drug myself down to the crest of the abyss, where the way back was so treacherous and challenging I feared complete failure. It seems on occasions of late I have entertained the same and wondered what my future had in store for me. Then I awoke again, as I did today, and the brilliant light which strained to shine through the clouds of rain touched my spirit as deeply as any other, in sight. My faith restored I greet the day with a renewed vigor and inspiration which has been such a constant in my life and has provided the insight I require to light the way forward. 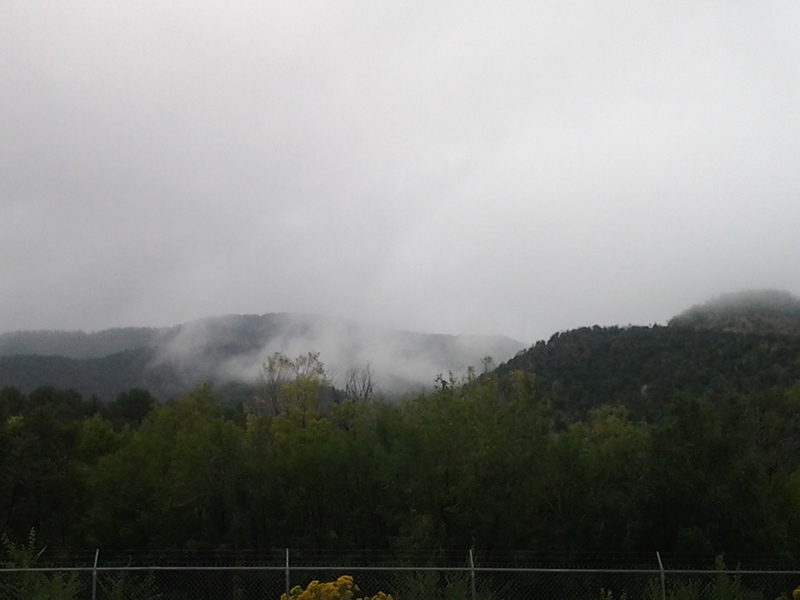 The sun won’t shine today, or at least not much, the rains have come to New Mexico. The ground itself, so drought scourged and dry has opened up to the moisture and draws it in as fast as it falls. My hair curls into the cues I so miss as the dry air has straightened it and I smile at my own reflection, I am who I want to be today and there is nothing to keep me from her. I marvel at the depths of my sorrow which have threatened to conquer me and instead look towards the light which has always led the way. I spoke a prayer as I drove to work and asked for guidance and affirmation even as I as quickly offered my thanks and contribution; it takes two to make anything happen in this life. I am as willing to give as I am to receive and I am once more back on my path towards such success, the way forward is in sight.